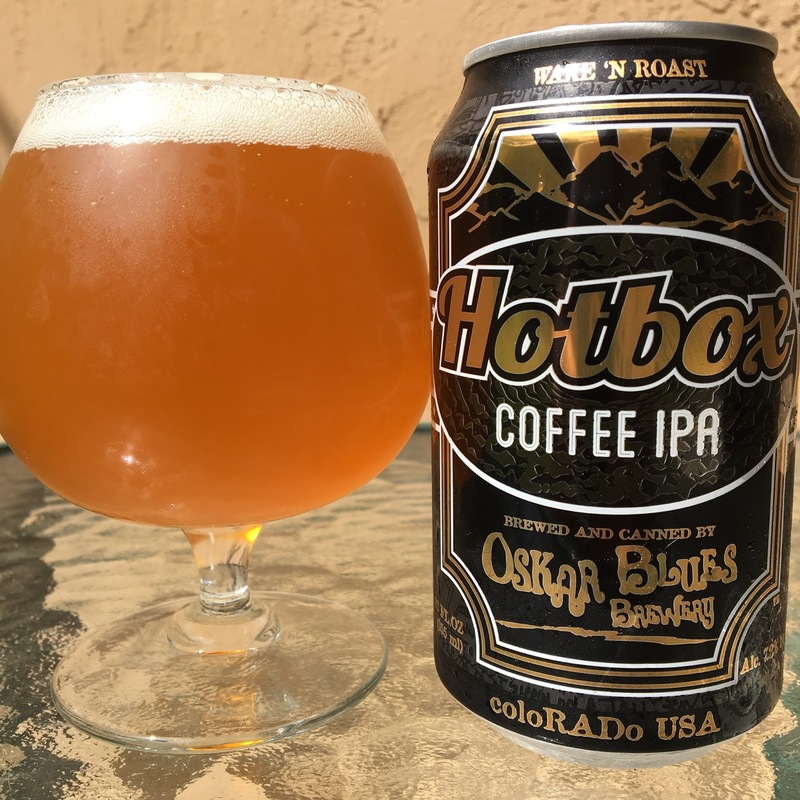 Today I'm trying Oskar Blues Hotbox Coffee IPA, named for and brewed with coffee from Hotbox Roasters. Sounds like an interesting idea! The can gives you a few things to think about... WAKE 'N ROAST. TURN YOUR HEAD & COFFEE. 7.2% alcohol. 70 IBU. Not sure why, but I was expecting a darker-colored beer. Don't get me wrong, the rich orange beer looked terrific. Super-fruity tropical orange and tangerine aroma with some underlying coffee playing second fiddle. Flavors are similar. Super juicy, tropical orange. Nice sweet and bitter back and forth. Nice tanginess. The coffee flavors show middle and into the finish with a little roast and hint of cocoa. The coffee aspect is more of an interesting nuance or twist. I was scared based on the name it would be overdone but in fact just the opposite is what I found. Using "Coffee" as part of the name is a bit of a lie. And yet, despite being only a nuance, I found myself wanting just the base IPA. Check it out!